You’ve probably seen that catchy commercial for the Jitterbug phone which is marketed towards the elderly with its simple to use phones and helpful customer service. 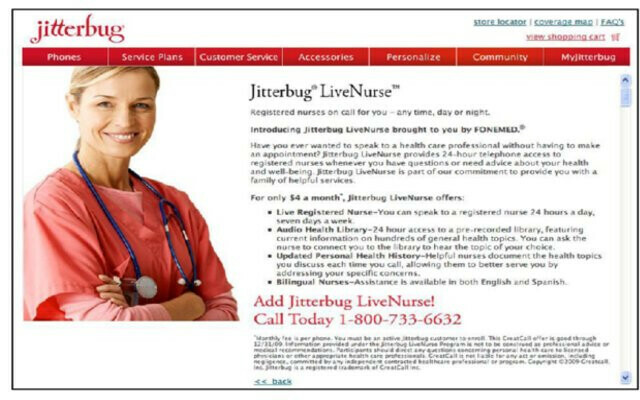 They are adding a new service called LiveNurse which will enable subscribers to speak to a registered nurse 24 hours a day, 7 days a week. You can ask them anything related to your health and have access to their audio health library that provides current information on hundreds of general health topics. Maybe even better for some, they have bilingual nurses that can talk to you in either English or Spanish. Now we’re not saying that this is a good substitute for seeing a doctor, but at least customers can freely discuss their health for a mere $4 a month when they add the service to their existing plan. 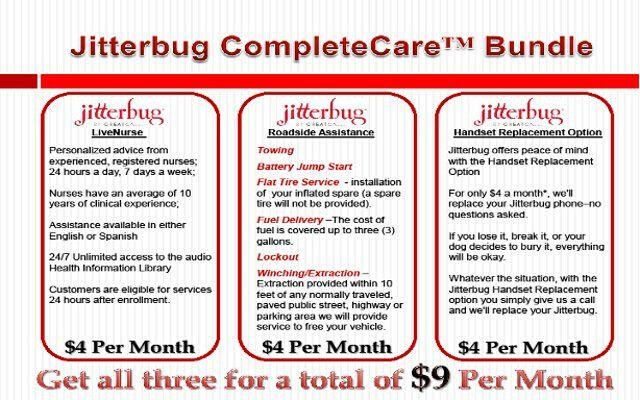 Finally, they are offering the Jitterbug CompleteCare Bundle for $9 a month which gives them the LiveNurse service, roadside assistance, and a handset replacement option if you lose or break your phone.